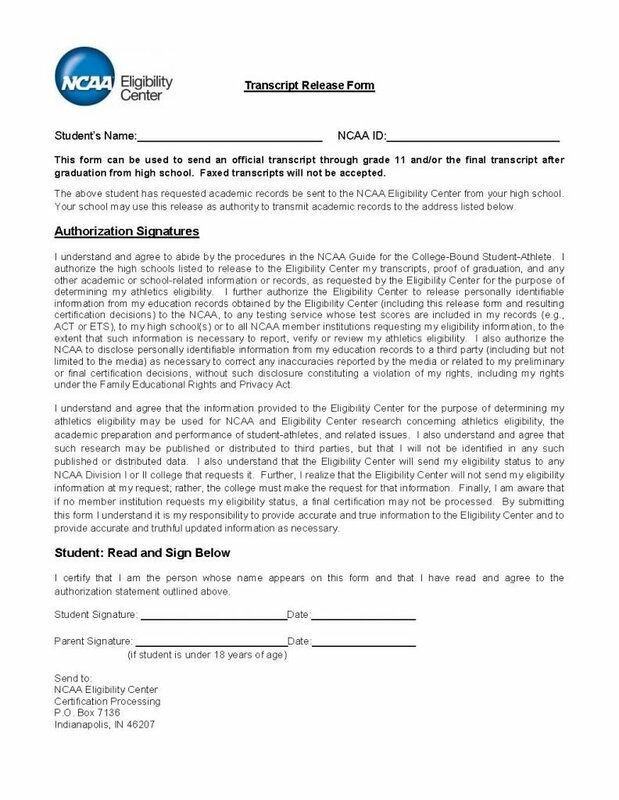 The transcript release form is a document completed by a college-bound high school student and their parent to grant their high school(s) permission to release their records to the Eligibility Center with the NCAA so that athletic determination may be made on behalf of the student. The student and parent will grant permission to release personal information that will assist in identifying the student as well, any ACT and ETS test results to determine academic performance. Limited medical information may also accompany the documentation. 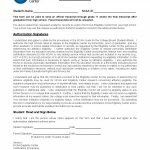 The student and parent will grant permission for colleges that have been applied to by the student must send a request to NCAA for the student records if they are interested in the athlete attending their facility. If there is no interest on behalf of any member of the institution, no documents will be processed.